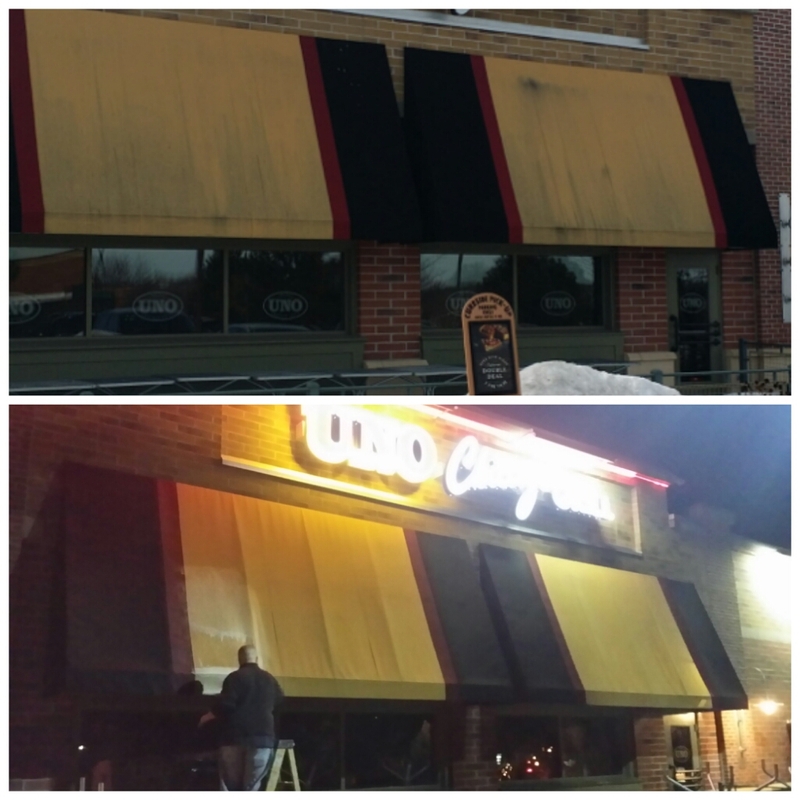 Here is a awning cleaning job we took care of this month on a Uno Chicago grill in Milwaukee . These awnings were covered in moss and algae. After a treating the awnings with our cleaners we let them dwell for about 30 minutes . Then we hand scrubbed each awning rinsed with low pressure and the awnings came out great. 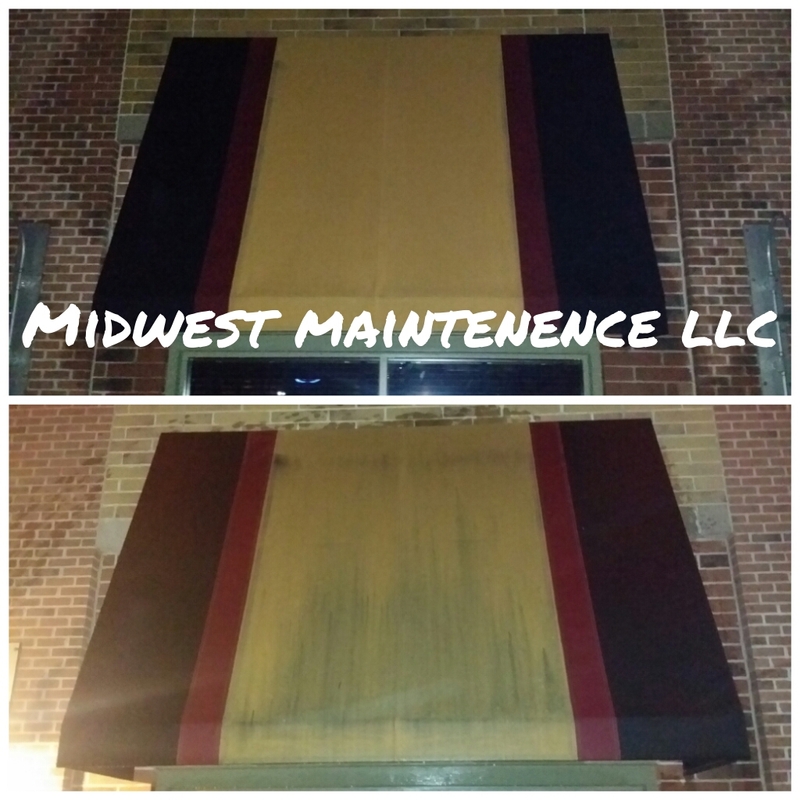 If you have any pressure washing or cleaning needs in the Milwaukee area feel free to give us a call. Previous Previous post: Roof Cleaning Pewaukee WI. Next Next post: Some Nasty Roof Algae.